When he found out I’d been abused in silence right under his unsuspecting nose, a dear friend asked me, in shock: “But why didn’t you say anything? Why didn’t you ask for help?” And, in that moment, I couldn’t find an answer. There were a lot of reasons, popping up one after the other, or entwined together in a noose that had strangled me for months. Too many to pick apart and explain in a few words. Why Didn’t I Ask for Help?.. 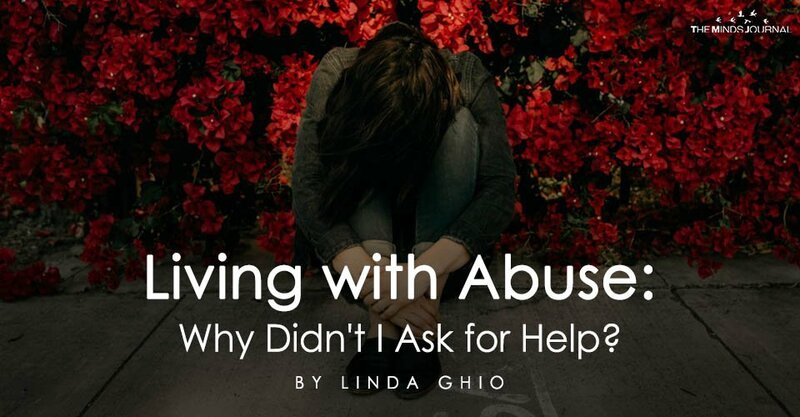 At first, I didn’t tell because I didn’t know what to say: I had no idea I was a victim of abuse. He’d never raised a hand on me, after all: I’d never heard of emotional abuse, so I couldn’t recognize it. I was confused, in pain, nothing made sense – his angry outbursts, his irrational, cruel behaviors, his swings between two completely opposite personalities, his alleged cheating with literally any willing woman he could find… but he could be so affectionate at times, and was always kind and charming to everyone else. I didn’t know that those abrupt shifts between the loving guy and the monster were the classic cycle of abuse. I didn’t know that living every day in fear and anxiety, walking on eggshells trying to not ‘make him angry’, is a classic symptom of an abusive relationship. I didn’t know that claiming I was responsible for my own mistreatment because I ‘made him angry’ is the go-to excuse of abusers. All I knew was that I felt I was living an absurd, surreal nightmare, and I didn’t understand what was going on. I didn’t tell because, even if I’d known what to say, who could I have told? The abuse often starts when the victim is somehow isolated from her support network, for instance after having moved far away from home: and, both of us being travelers, we had just moved to a foreign country where our only contacts were a couple of old friends of his. I was cut off from my friends and family: but, while I was used to travelling alone and therefore to being cautious toward everyone, this time I had a weak spot. I had a person I relied on, that I thought I knew and I could trust: but that person was him. Sure, we’d made new friends, nice people, but I’d only known them for a few weeks: I wasn’t comfortable sharing with them such a delicate personal problem. And they were friends of both of us – it seemed unfair to drag them into all this, putting them in an awkward position. I didn’t tell because I wanted to protect him and the life we had built together. He had a scintillating reputation with everyone: we’d been together for almost a year, and he’d consolidated that good reputation with me too. I sincerely believed he was a normal good guy: he obviously had a few issues, he was going through a difficult time – even though I couldn’t figure out why, since objectively our life was pretty darn great. Yet, he was always angry and unsatisfied, so he had to be deeply unhappy.